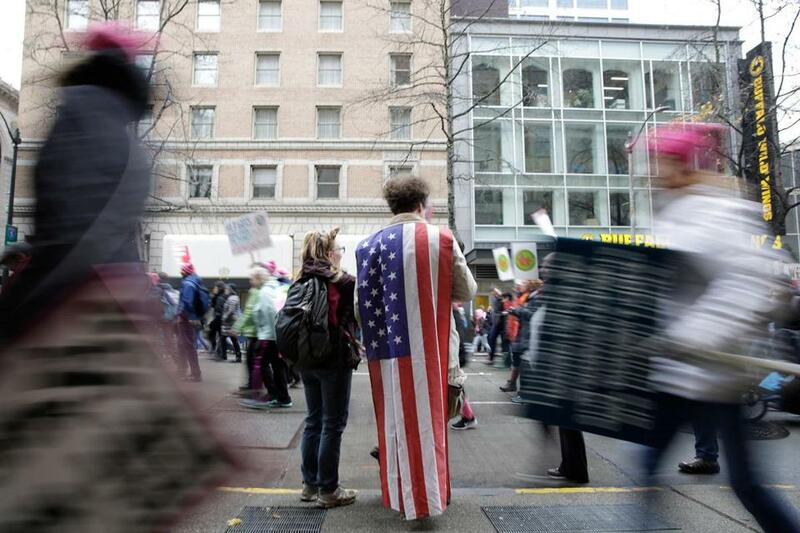 Demonstrators participated in Women’s March 2.0 in Seattle on Jan. 20, 2018, one year after the worldwide march for women’s rights and to protest President Trump’s inauguration. There is little these days that makes Denny more distraught than the Democratic Party. “They are completely out of control,” he tells me. “Between the socialists and the rioters, I just wonder what they could possibly be thinking.” Denny, a Democrat from Nevada who voted for Hillary Clinton in 2016, is typical of both Democrats and Republicans in the panel of 500 voters I am in touch with weekly. Last December, when I asked voters about the Democratic Party, most reported that they heard little more than “Stop Trump,” a rallying cry that was embraced by the Democratic National Committee when it sent out bumper stickers with that message to millions of supporters. In my most recent conversations, however, their perception of the Democrats’ trademark has morphed into something more troubling. “I actually used to be a Democrat, but then Democrats started screaming and shouting and protesting so much that it alienated me,” says José from Texas. The government can provide many services better than the private sector. While Republicans are seeing an intolerant Democratic Party, many Democratic voters share similar perceptions. Democrats tell me they cringe when they hear Hillary Clinton say that her husband’s affair with Monica Lewinsky was “not an abuse of power,” when Senator Dianne Feinstein says she would re-open the Kavanaugh investigation, or when former attorney general Eric Holder, says, “When they go low, we kick them.” They lament these positions because they reinforce the image that Trump has bestowed upon the Democrats: that the party has become “too extreme and too dangerous to be trusted with power” or that “Democrats produce mobs, Republicans produce jobs.” When the Democrats lack a clear message, President Trump’s rhetoric fills this vacuum with his own caricature, and voters from both sides of the aisle are paying attention. The problem is that these Democrats who are taking the high ground are not breaking through enough to influence the overall perception of their party. Blame Fox News, blame social media for putting us into echo chambers that reinforce narrow viewpoints, blame Russian bots, but the Democrats have precious little time to adjust. While it is helpful for former president Barack Obama to say, “I have one thing to say: Vote,” it’s insufficient in countering the message from the right, because it doesn’t remind people why they should go to the polls. What would inspire more voters to vote blue? They would respond to a narrative about rebuilding America for all citizens: strengthen the middle class, get the deficit under control, rebuild our infrastructure, train the workforce for the future, and restore faith in government — rather than blame, outrage, and resistance. It also wouldn’t hurt if the more controversial past leaders of the party could step out of the limelight for a moment. For instance, given that the Kavanaugh hearings reminded voters about Bill Clinton’s history as an accused sexual assaulter, this might not have been best time for the Clintons to announce their 13-city speaking tour. The Democrats could very well win the House of Representatives with a message of “Vote for us; we’re not corrupt liars like Trump.” But there’s no certainty that they can govern — or win the presidency in 2020 — on a platform that everything’s going to be free and the other guys are awful bigots. America is divided. 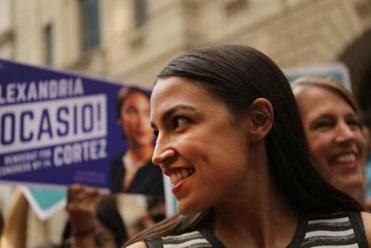 Unless the Democrats can communicate an uplifting image for the nation, it will stay divided, and voters will lose faith in both parties — leaving only the biggest, baddest personalities with any appeal. And we’ve already seen where that leaves us.